If someone didn't know yet, then I'm the new Curve Fever 2 tournament moderator. I was selected because there were open moderator positions and I applied for Curve Fever 2 tournament moderator position. The first official tournament of August will be a 4 vs. 4 Special tournament. Date & Time: Sunday, the 12th of August 20:00 CEST (GMT +2). Sign up deadline: Sunday, the 12th of August 12:00 CEST (GMT+2). 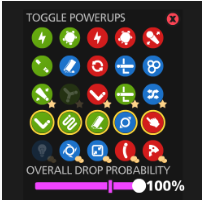 Powerups: Custom -> Select all powerups except for Darkness item and Split item. For all official curve fever tournaments General Tournament Disclaimer: All official Curve Fever tournaments are subject to this disclaimer without exclusion. In order to keep tournaments organized and more enjoyable for everyone: Once the signup deadline is reached; no changes are made to its content that may be rules, the player list (no switches are allowed. People can be on the reserve list, this for max 1 hour after the signup deadline. In order of posts ,reserves can be added to the schedule if it doesn't get effected. ), times and days mentioned. Players must keep to the starting times of matches and as mentioned in the posts you must post results of each match in discord #tournament-results. [ Additional] For Curve Fever 2, a user must have premium to signup. I am looking for team, forget Philosophical because I commented on that instead of this.. It doesn’t matter if it’s Jaan or not, you should be grateful that there is a tournament moderator so he/she can host official tournaments for everyone else so they can enjoy the game while having a challenge in the tournament. He deserves it as he created many unofficial tournaments in the past but we know he makes mistakes but he gained experience and I think it’s a good choice that they chose Jaan as a tournament moderator because he has experience in creating schedule and knowing how to host a tournament. But as he can officially host official tournaments, some changes will happen during his experience as he can not give out ‘wild cards’ or second chances etc. So you should be grateful. I agree. Jaan is a guy with experience that's all. We should be greatful there is a tournament mod and some tournaments will coming. This has clearly gone off topic about something which we all agree on, except this one person. Faded got selected out of an amount and the team agreed he fitted in the best. He is experienced and knows what he does. I am happy reading the support after that negative message and I agree to the support he got. To answer your question, is there an age limit - kizza, yes there is, especially after reading your comment. I want people to respect moderators. Yes, we apply by ourselves... but we still give up free time for all of the players to enjoy curve fever. All that being said. *messages about the previous incident after this post will be removed. Looking for a good team. Message me. I wanna win - dont message when you're a noob mkay?! I'm with Tell Why Me, mase1 and Macht. Just to correct i will be using Purr. not EZWAYS. I'm in with : Ken', Naked., and Destin. I'm in with Shenn', Ludza and Ruiner.